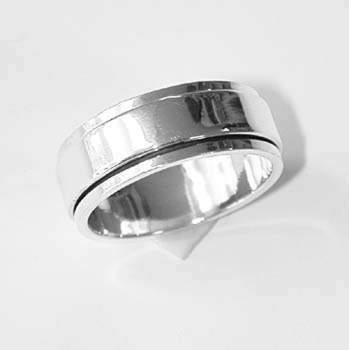 Flat sided spinner ring. Inner portion spins independently of outer hub. Weighs approx. 12.5g. Order by US size range. Wholesale jewelry rings is handmade in Thailand. .925 Sterling silver ring.